Welcome and thank you for visiting MyOrnamentShop. We have informative articles for you to read. If you are looking for a variety of designs - like ornaments for Christmas, Holidays, Easter, Spring, Valentines Day, and Celebrations, please use the link at the bottom of this page or click here to buy Christmas Ornaments now! 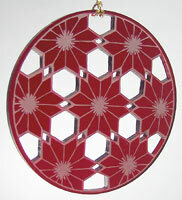 There you will find Christmas Ornaments made from wood (painted and natural), glass (handpainted) and German lace. While you are here enjoy our articles. David started his collection of Christmas ornaments from around the world when he was in the military stationed in Germany. Even though he was a young man, he appreciated the beauty and craftsmanship that he saw in the German ornament shops that were located all throughout Germany. 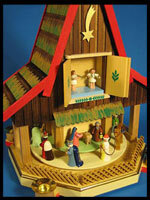 David bought several different kinds of German ornaments during his time in Germany, but he did not have a lot of money at the time, so he was not able to get some of his favorite German ornaments at the time. When his tour of duty was over, David packed his small collection of German ornaments and went back home to the ........ read more.